Meseret walked alone for hours, vulnerable to possible attack, to collect water from a dirty, disease-ridden, dried-up river. This dried-up river, riddled with bacteria, can cause deadly diarrhoea. Meseret had no other choice but to drink this water. CBM needs to raise $465,223 to support the provision of 20 new water systems over the next three years. With your donation today you can end the suffering of water-borne disease and protect little children, just like you helped protect Meseret. 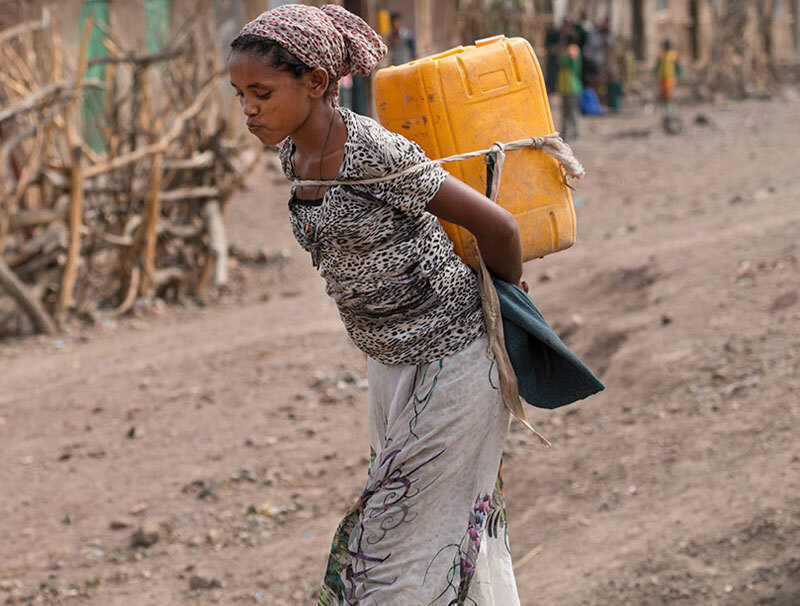 To make matters worse Meseret faced the threat of possible attack each time she had to collect this awful water. She wouldn’t even hear an attacker coming! You might not remember, but, Meseret was born deaf. When you donate today you can stop these deadly diseases and protect children like Meseret. Your donation, given at this critical time, will help keep children like Meseret from becoming one of the 502,000 people who die each year from drinking disease-ridden water full of bacteria that cause deadly diarrhoea. Please donate now! Your donation given today can be life-saving!